Haaretz reported today that one third of Israeli Jews want the Temple rebuilt in Jerusalem. Apparently dozens of movements in Israel are attempting to change the status quo at Haram Ash-Sharif, widely considered the third holiest site in Islam. They aim towards a resurrection of the Jewish Temple at the site. Some are reconstructing ceremonial objects used in the Temple in the past, while others are making practical preparations for its rebuilding, including a renewal of animal sacrifice. Others deal in political lobbying and with encouraging Jews to visit the Mount. 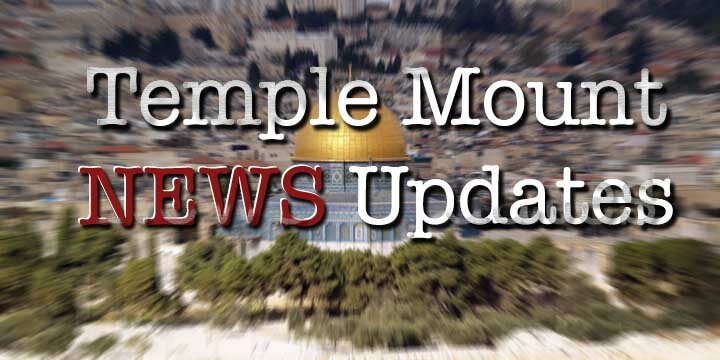 "Attempts to distance the People of Israel from its holiest site have failed," said Yehuda Glick, spokesman for the forum of Temple Mount organizations that commissioned the survey. Among religious Jews questioned, 43% support reconstruction of the Jewish shrine. However, the poll also reveals that more than 31% among Israel secular Jews also support such an initiative. Though it is easy to explain the high percentage of religious Jews supporting such a campaign, the high percentage of secular Jews seems to be odd at first glance. Why would secular people support a construction of a religious shrine over the land of one of Islam’s holiest sites? Clearly such an initiative would lead to a colossal conflict, it may even unite the Muslim world once and for all. The answer is pretty simple. Jewish secularism is a bizarre concept. It is a racially driven tribal affiliation motivated by supremacist inclinations. Secular Jews have indeed managed to drop God, they shunned the Torah and the Talmud, but they clearly believe in Choseness. In fact Jewish secular thought has very little to do with humanism or universalism. As such Jewish secularism can be realised as just another Jewish religion -it may proclaim to be righteous, rational or enlightened, but it in practice it is dedicated to a primal, insular and Judeo centric-worldview driven by a total dismissal of Otherness. We always have to bear in mind that Zionism is a secular movement. The IDF is, also a secular institution. Similarly, it is not Rabbis who run AIPAC in the USA, CFI in Britain and CRIF is France. The Jewish Lobby that currently pushes for war in Iran and numerous other immoral military interventions around the globe is largely a secular network. As much as some aspects of Judaism are troubling and demand criticism, the poll above reaffirms, that Jewish secular thought is far more dangerous than the Judaic call.